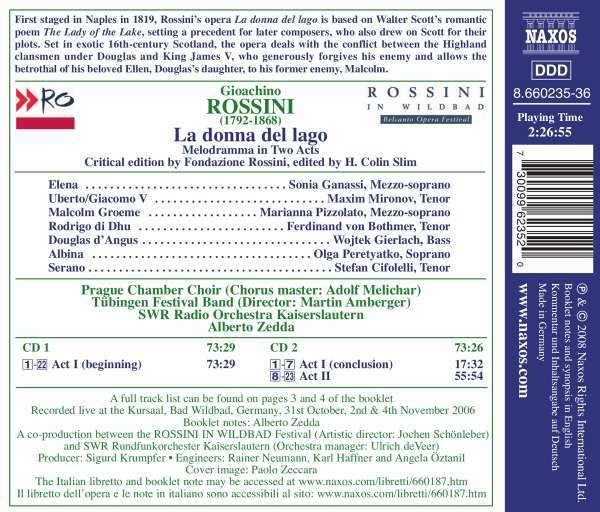 First staged in Naples in 1819, Rossini's opera La donna del lago is based on Walter Scott's romantic poem The Lady of the Lake, setting a precedent for later composers, who also drew on Scott for their plots. Set in exotic 16th-century Scotland, the opera deals with the conflict between the Highland clansmen under Douglas and King James V, who generously forgives his enemy and allows the betrothal of his beloved Ellen, Douglas's daughter, to his former enemy, Malcolm. FonoForum 08 / 08: "Der Maestro lotet in diesem komplexen Stück die sanguinischen, elegischen und dramatischen Elemente gleichermaßen aus. 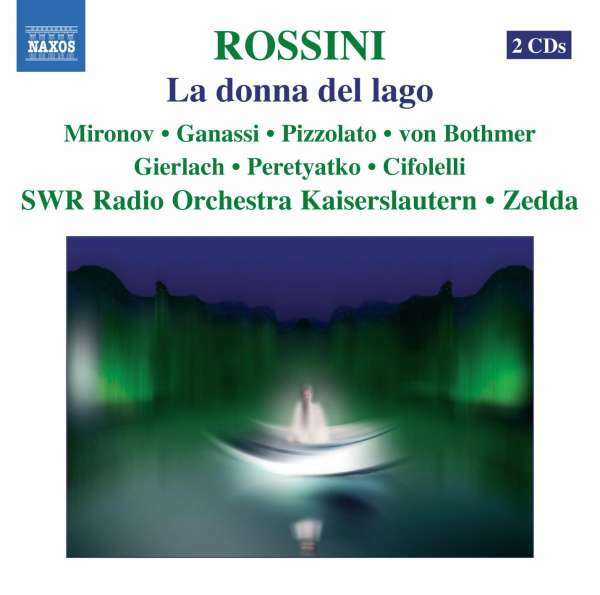 Die Titelrolle lässt er nicht von einem Sopran, sondern von der erfahrenen Mezzosopranistin Sonia Ganassi singen, die virtuose Fertigkeit mit emotionaler Wärme verbindet. Ihre Fachkollegin Marianna Pizzolato steht ihr als Liebhaber Malcolm in beiden Belangen nicht nach."